World of Warcraft has been an on and off part of my life for probably close to ten years. World of Warcraft (WoW) is a massively multiplayer online role-playing game (MMORPG). WoW was first released 2004, and it’s by Blizzard Entertainment. 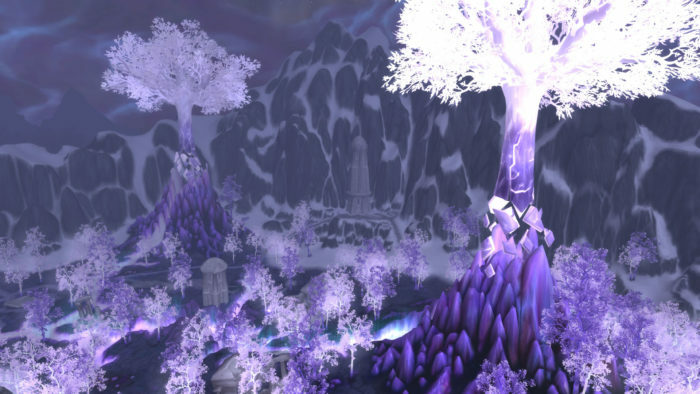 In the game, you create a character and then level through the different areas of the world of Azeroth. There’s group content in the form of dungeons and raids. There are guilds for a place to chat with others and work together on group stuff. And so much more. My younger sister started playing while I was away at college. She quickly got our Dad into it. When I got home she got me hooked too. I remember creeping through The Barrens with a group of five level 15 Alliance characters to get to the entrance of Wailing Caverns. Over the years I have leveled many characters and taken long breaks from the game, but eventually, I always return to play. I like how much there is to do in the game. I have leveled one of each of the twelve classes to level cap (the current expansion is called Legion, and the level cap is 110). Setting goals for myself and accomplishing them is something I like and WoW allows that in the form of achievements and leveling. I’m in a guild that I really enjoy. I don’t really like doing anything that requires more than five people. My mornings are spent running a store, so by the time I get home I don’t want to group up with people to bash ourselves against new content. I am not a person that raids. But the guild I’m in is social and groups up for different events, so I can participate and socialize, but they don’t require me to spend all my time raiding (or getting ready to raid). The death count statistic from my level 110 mage. It’s 921. I like how many different ways there are to play WoW. Dungeons and raids are player vs. everything (PVE) content, but there’s also player vs. player (PVP) content. I usually stay away from PVP because I’m so good at accidentally dying on my characters anyway (you become a ghost and have to run or fly back to your dead body to resurrect), but sometimes I dip my toes in to give it a try. I play mainly on the Alliance side, so I am currently working on leveling some Horde side characters to get a more balanced feel of the game (and the story). The visuals in WoW are a big draw for me. I don’t have a high-end gaming computer, but I really enjoy adventuring around in Azeroth. 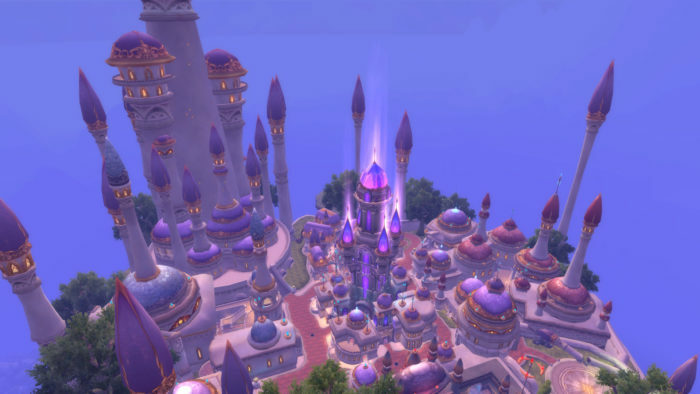 A screenshot of the flying city, Dalaran, above the Broken Isles, from World of Warcraft: Legion. There’s a flying city. Flying cities are my weakness. I missed Dalaran in the Cataclysm expansion when it wasn’t the home city for most high-level characters. I took some time off for the Mists of Pandaria and Warlords of Draenor expansions. When I came back for Legion I was really excited to see that Dalaran was the place to be again. There’s a free trial version of the game. It is a limited version of the game, but it gives a good first look at what World of Warcraft is like.